The idea behind “Europe, Russia, Europe” was a simple one: bringing together important works from leading museums from 28 countries creates an impressive exhibition. 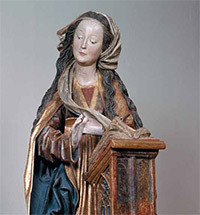 Careful study of these works gives rise to a multitude of fascinating questions and discussions. The most obvious, perhaps, would be: when and how did the plastic languages of European art develop? How, and why, do the artistic processes taking place in various areas of Europe differ? In what ways do the arts overlap and influence each other? What is the relationship between cultural and historical processes? How is politics reflected in art, and does art determine politics? The Second Moscow Biennale of Contemporary Art has certainly become a significant event in Russia’s cultural life. Almost every Moscow organization in any way related to contemporary art - including museums, galleries, centres of contemporary art, private foundations and even the trendiest of clubs - have tried to make a statement by their participation in the preparation of the exhibition calendar. Their wider purpose is to accurately and proudly present contemporary art in Russia, as well as invite the numerous guests of the Biennale to acquaint themselves with Russian art, both from today and from the recent past. 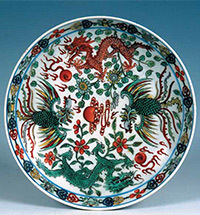 Organized by the Tretyakov Gallery and the State museum and exhibition centre ROSIZO, the exhibition “White Gold: The Tradition and Modernity of Chinese Porcelain” which opened on March 27 at the Tretyakov Gallery, has been one of the first and most momentous events marking the Year of China in Russia. Among some of the most fascinating and prized items owned by the State Tretyakov Gallery is Mikhail Nesterov’s famous double portrait of the philosophers Pavel Florensky (1882-1937) and Sergei Bulgakov (1871-1944). 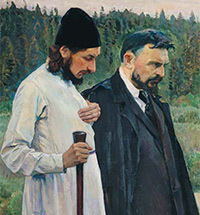 Painted in 1917 and showing the two men in Sergiev Posad, for many years “The Philosophers” was consigned to storage; yet now, once again, it forms part of the Tretyakov Gallery’s display as a vital element of Nesterov’s creative and spiritual development. 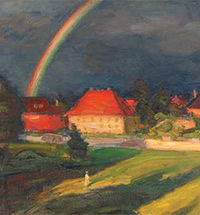 Deacon Sergiy Trubachev’s important article, written to mark Florensky’s the 100th anniversary of Florensky’s birth and examining this very painting, focuses in particular on its spiritual merit. Deacon Trubachev’s study offered a convenient starting point for this article. 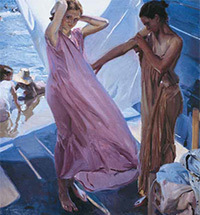 One of the main exhibitions of Winter 2006 in Madrid was an unprecedented “double” exhibition of the artists John Singer Sargent and Joaquin Sorolla, staged in two locations – the Thyssen-Bornemisza Museum, and the major central city exhibition hall, the Fundacion Caja Madrid. After its closure in Spain in January, it will run at the Petit Palais in Paris until May 13. 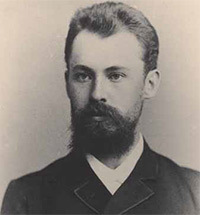 In 2006, the year of its 150th jubilee, the Tretyakov Gallery acquired a significant number of works by the artist Nikolai Meshcherin (1864-1916). 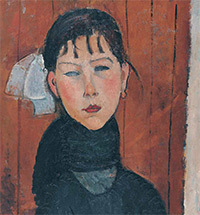 Presented as a gift by Nikolai Gagman, art restorer and long-standing member of the Igor Grabar All-Union Centre for Art Research and Restoration, the donation included 17 oil and tempera paintings and six pastels by Meshcherin, as well as archive documents and photographs shedding light on the artist’s life and work. 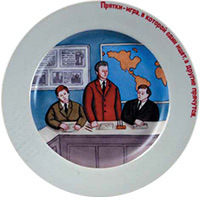 Many years ago, these were purchased from Meshcherin’s widow Lydia Goriacheva-Meshcherina by Gagman’s father Alexander Nikolaevich, a Doctor of Medicine and one of the founders of surgical urology. For many decades, this small treasure remained in the Gagman family. Nikolai Gagman took the best possible care of his father’s collection, doing everything within his means to make Meshcherin better known as an artist. 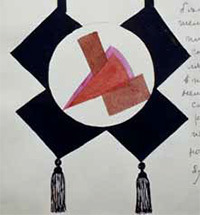 In 1987, Nikolai Gagman organised an exhibition of Meshcherin’s work and published a catalogue to accompany the event, writing the introduction and selecting some fascinating archive material for the catalogue himself. 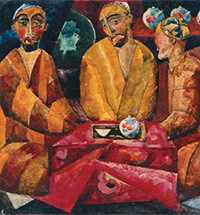 The catalogue included all of Meshcherin’s works from museums and private collections in Russia which Gagman had succeeded in locating. 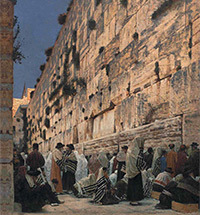 Vasily Vereshchagin’s “Solomon’s Wall” (1884-1885) came to Russia for the first time and was exhibited for two weeks in March at the Tretyakov Gallery in the Vereshchagin Room, next to other works by this famous Russian artist. 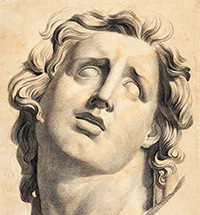 On March 15, Ivan Samarine and the Stockholm Auction House (Stockholms Auktionsverk) held their third Russian Auction, a sale devoted entirely to Russian art. Including more than 400 lots, nearly half were paintings, dating from Alexander Roslin from the 18th century to the non-conformists of the 1970s. There was also a small section of icons, some furniture, silver and Faberge, quite an extensive collection of porcelain, early Soviet posters, some textiles and some books. Estimates ranged from $ 250,0 - $ 400,000. Managing a large group of creative individuals is no mean task. Artists are a touchy bunch, each and every one a "complex personality”! 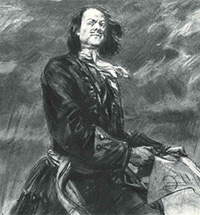 Dementy Alexeievich Shmarinov was thrice elected chairman of the Moscow Union of Artists. Following his third election, as art studios all over the capital buzzed with heated discussion of the new Union board and chairperson, my neighbour, the monumental artist Boris Miliukov summed up the situation perfectly: "There's no one else who could do it - only Shmarinov!” "Shmarinov could really be Minister for Culture,” someone added. 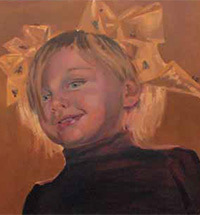 Artists believed in Dementy Shmarinov - clear-headed, yet profoundly human, he was both a practical and sensitive organiser.